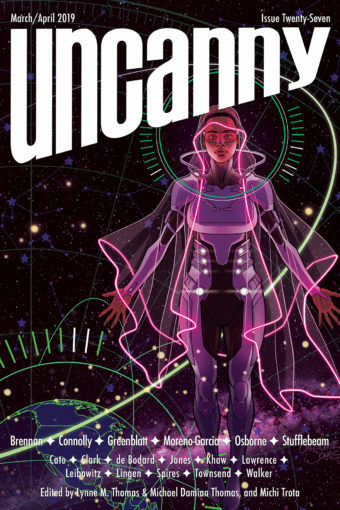 Julia Rios Is the New Uncanny Magazine Reprint/Poetry Editor!!! The fabulous Julia Rios will be the new Uncanny Magazine Reprint/Poetry Editor starting with Issue 10! Julia Rios is a Hugo Award-nominated editor and podcaster, plus a writer and narrator. 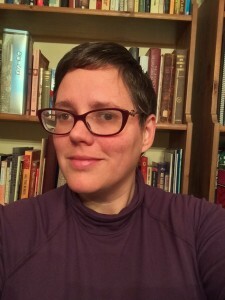 She was a fiction editor for Strange Horizons from 2012 to 2015, and is co-editor with Alisa Krasnostein of Kaleidoscope: Diverse YA Science Fiction and Fantasy Stories, and the Year’s Best YA Speculative Fiction series. She is also a co-host of the Hugo-nominated podcast, The Skiffy and Fanty Show. And those are just some of her wonderful accomplishments! We couldn’t be more thrilled to be adding Julia to our phenomenal team.